Exercise plays a primary role right from the time you start planning for a family. If you are overweight, then weight loss should be your first priority and then focus should be on toning and conditioning your body. This will improve strength and stamina required during the course of your pregnancy. A fit and healthy body not only boosts up your chances of conception but also makes it easier for pregnancy, labor and predominantly child birth! If daily exercise has not been of importance to you so far, then you should start slow and steady with 20 minutes of moderate exercises such as walking, cycling and weight training at least four to five days a week. You can also try stretching and practice yoga to improve your flexibility. If you are new to an exercise routine then it is very important for you to take guidance from a professional trainer. To avoid any kind of medical complication of being overweight during pregnancy, it is always better to keep your weight in the ideal range before you start your pregnancy. Once you conceive, it would not be a good idea to start anything new and cause undue stress for the baby and yourself. 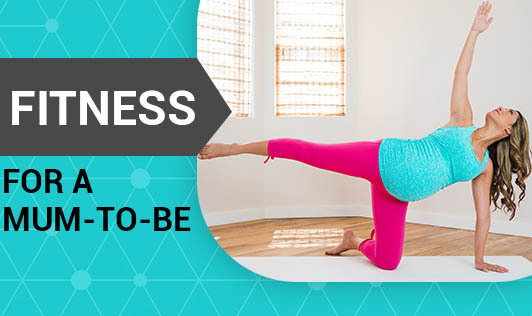 If you are following a regular exercise routine before conception, you can still continue it during your pregnancy under a qualified trainer after a thorough consultation with your gynecologist. Proper exercise will make your back, thighs and core muscles strong and this in turn will help you with the energy demanding process of delivering your baby.